Thanks for Joining us at the 2019 Hall of Fame Induction Ceremony! APR16Pre-Order the 2019 Show DVD Now!Now taking orders for 2019 DVD sets. APR10Weekend Forecast: 100% Chance of Rock And Roll!The SDRRMA Hall of Fame Induction Ceremony will be held this weekend as scheduled, despite the threat of inclement weather! JAN132018 Concert Photos Now OnlineCheck out the photos from last year's concert, now up on the website, to get ready for this year's show! JAN11Tickets on sale NOW! Tickets for the 2019 South Dakota Rock and Roll Music Association (SDRRMA) Induction Ceremony are on sale NOW! This rocking, two-night music extravaganza will be held at the Ramkota Inn Exhibit Hall in Sioux Falls on April 12 and 13. NOV162018 DVDs Now on Sale!For a limited time get the full 3-DVD 2018 Induction Ceremony for only 19.95 plus shipping! That’s 1/3 off the normal price! 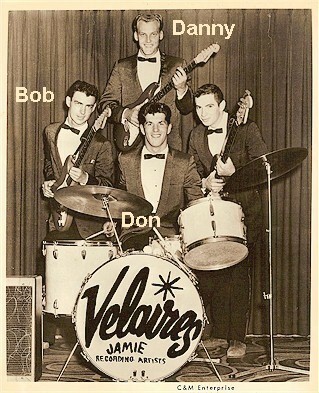 SEP6South Dakota Rock and Roll Music Association Hall of Fame Announces 2019 InducteesSeven bands will join the Hall of Fame at the 2019 induction events to be held April 12-13, 2019. MAY16Congrats to our Scholarship Winners!Since 2014, we have awarded over $45,000 in music grants to South Dakota Schools. 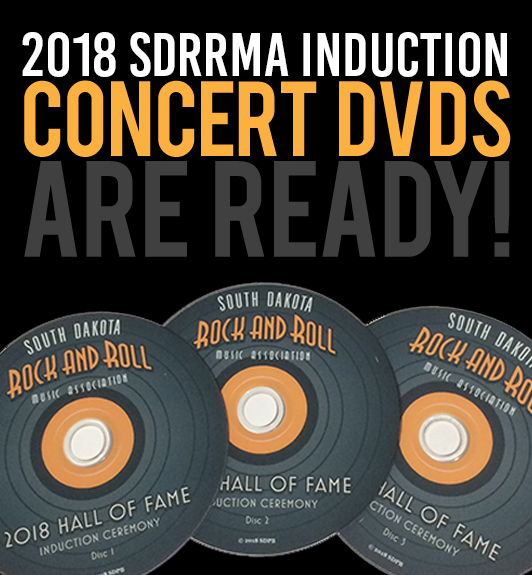 The 2018 SDRRMA Induction Concert DVDs are ready!